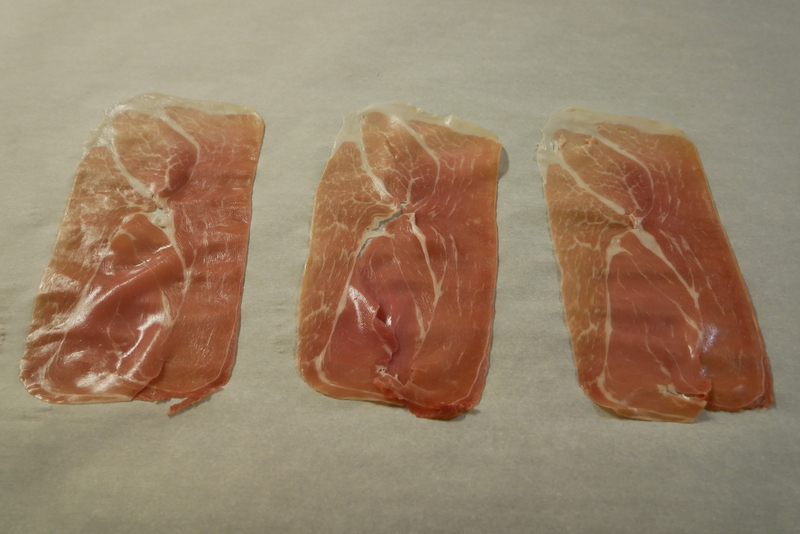 Lay out prosciutto on parchment paper or a plate. 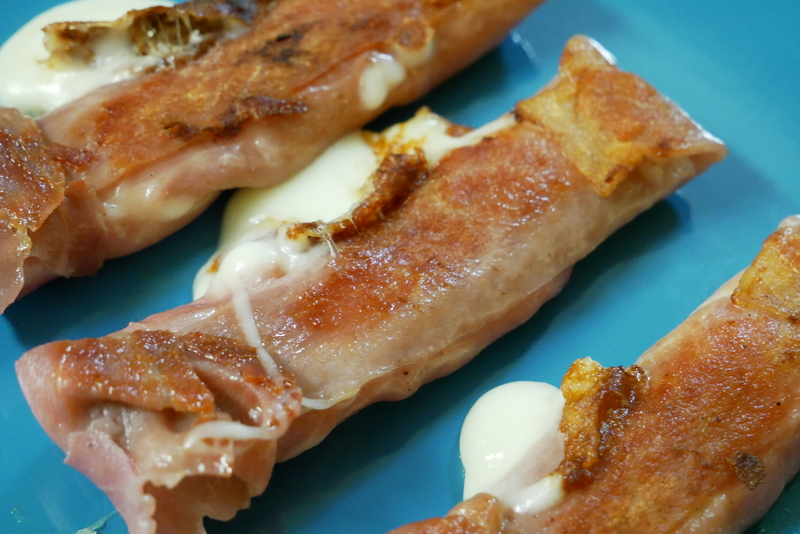 Place cheese sticks on top of prosciutto. 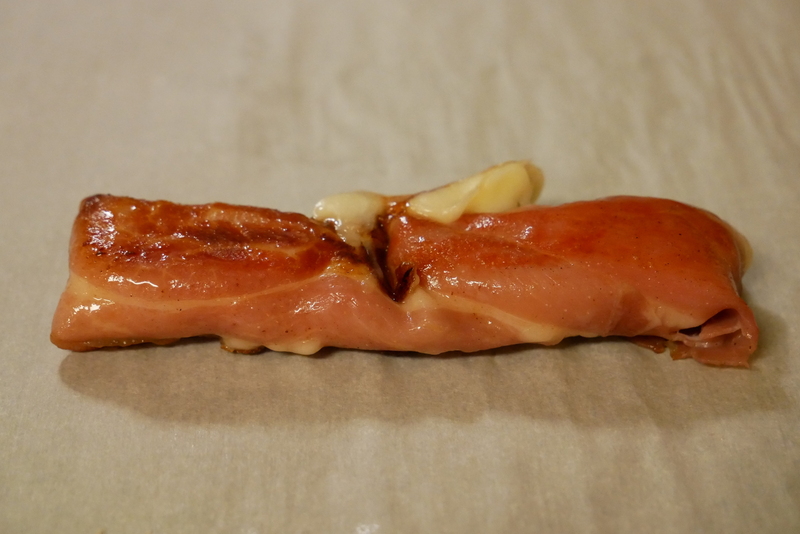 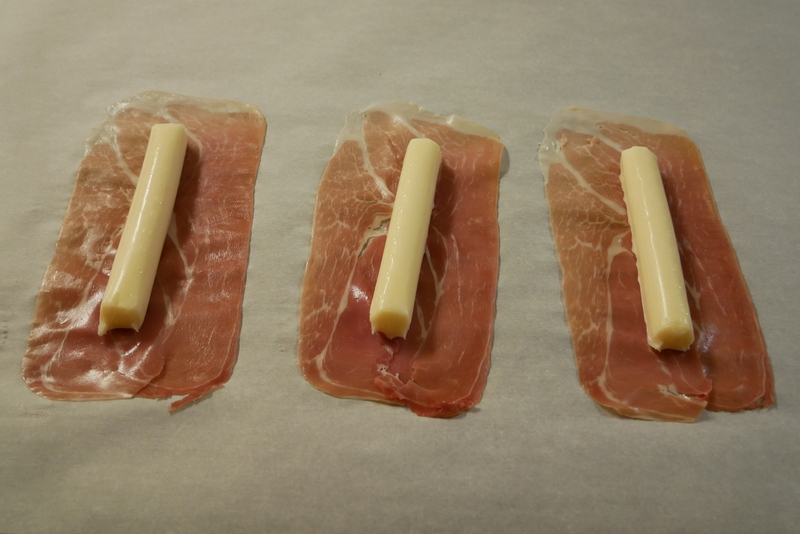 Wrap cheese sticks with prosciutto wrapping the sides first and than folding the ends. 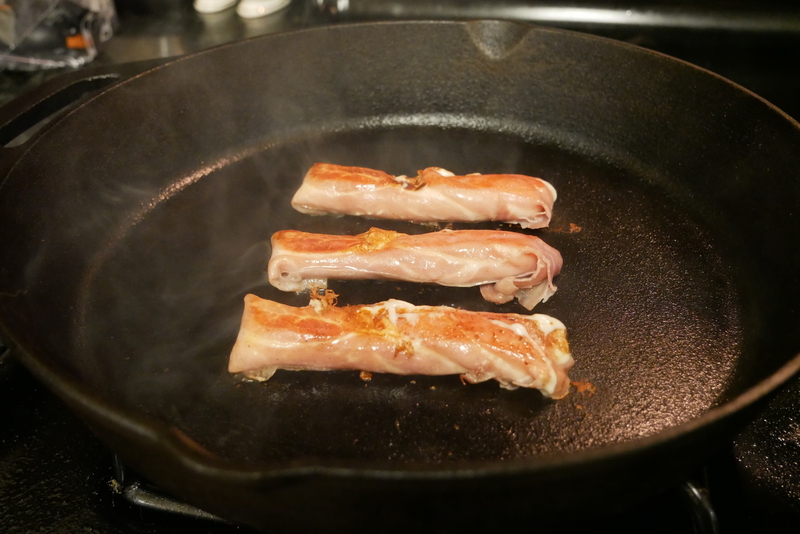 Cook on cast iron or non stick pan for 2 minutes per side until golden brown.